When everyone's on the same page, amazing things happen. People get along. Work gets done. 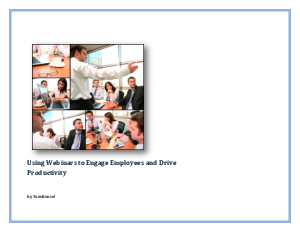 This eBook explores how the human resources department (HR) can strategically use webinars to keep everyone on the same page, aligning employees with the company's vision, nurturing greater employee engagement and driving productivity.